The city of Ocala is found between Gainesville, Florida and Orlando, Florida. It has a population of about 57,500 residents and it's found in Marion County. The county is much larger providing a home for more than 330,000 residents. While Ocala, Florida isn't considered a hot spot for tourists, it's a very popular pass through for those driving to Orlando or South Florida. Many visitors come through the area every single year and many going from Gainesville to Orlando or Orlando to Gainesville pass directly through Ocala. The number of visitors passing through combined with regular, everyday drivers causes the roads to be rather crowded in Ocala. A number of major roads run through Ocala including Interstate 75, US 27, US 301, US 441, State Road 492, State Road 40, State Road 464 and State Road 200. 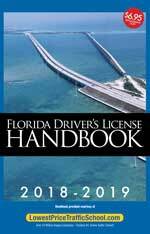 The Florida portion of I-75 is considered the 15th most deadly highway in the country. Over 180,000 vehicles use I-75 every single day and it's the main highway giving tourists access to the Orlando area. Nearly every vehicle coming to Florida with Orlando or South Florida as a destination will travel through Ocala on I-75. Traffic accident stats in Ocala and Marion County are on the rise. If those in charge of monitoring traffic throughout the area don't do their job, many more traffic accidents would occur every year. In 2015, 21,137 traffic tickets were given to drivers throughout Marion County. Nearly half (10,460) of the tickets were given to drivers caught speeding while over 3,300 were issues for careless driving. Only 4% of the tickets issues were dismissed by a judge. The chances of you getting out of your traffic ticket are very slim. The State of Florida gives drivers plenty of chances when it comes to traffic tickets. However, if you get too many tickets in a short amount of time, you may face a license suspension. Could you imagine having to find somebody to give you a ride for an entire year? It's not worth taking the chance to drive on a suspended license, either. As soon as you're caught, you'll face up to 90 days in jail and an additional fine of up to $500. Online traffic school offers a basic driver improvement course, which can be used to avoid points on your license for a recent ticket. This course can be taken from your home right online and at your own pace. The process is very simple. Start by paying your ticket and telling the clerk of the court you will enroll in traffic school. 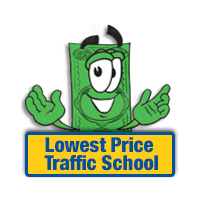 Then, log on and enroll in online traffic school. Complete the course and you will be issued a certificate of completion. Now, just take your certificate to the clerk of the court and you're done. By using the basic driver improvement course option, you will avoid points on your license and keep your insurance rates from skyrocketing. Drivers can use the traffic school option up to five times in their lifetime. However, it can only be used to avoid points once per 12 month period. If you've taken the class in the past 12 months or 5 times total, you're not eligible. After receiving a traffic ticket in Ocala, you will need to visit the Marion County Clerk of the Court office for payment and information. The clerk will handle everything related to your ticket. Find out more information about the Marion County Clerk of the Court by visiting the website.